Just going to give warning right off the bat…I intend to talk about statistics. (Just in case someone is allergic) But, don’t worry it won’t be a bunch of dry numbers and formulas. I want to focus on outliers. For those who aren’t familiar with statistics, an outlier is “a statistical observation that is markedly different in value from the others of the sample.” I know your eyes are glazing over but stick with me here. When you look at the trend of a graph, they are the dots that aren’t on the line. Statisticians, because they are looking at raw data only, aren’t always sure why they don’t fit but they’ve created mathematical workarounds so conclusions can be made from the data with or without them. If you’ve helped a kid with math homework, you’ve probably come across the terms mean, median, and mode. (It amazes me that these topics are being taught in elementary school, but I guess it’s good to get kids familiar with the concepts.) These things are called measures of central tendency and some of them are affected by outliers and some are not. (Quit snoring!) In some way, they each tell about the middle of the road. Back to the outliers. In a data set of IQ test or standardized test scores for example, the outliers might be seen as geniuses, master test takers, crappy test takers, or learning disabled. Regardless, they are not considered normal or part of the crowd. Unfortunately, judging people by performance on a written test only leaves out a lot of gifted and talented people. On the flip side, there are people who pass standardized tests with flying colors but do nothing to improve their own lives or the lives of others. 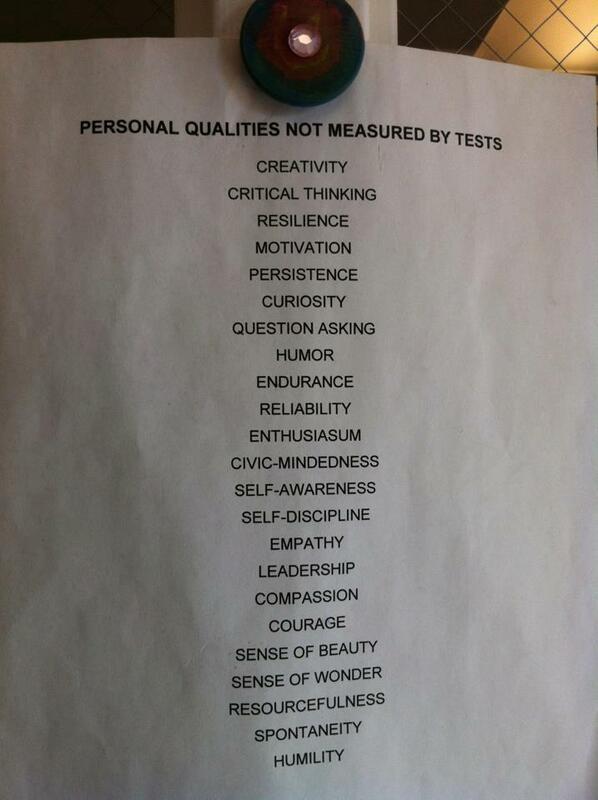 I recently saw a list of character qualities not measured by tests and I started thinking about the amazing people in the past who would have fallen short according to today’s standardized testing. Thomas Edison was once referred to by a teacher as “addled.” Alexander Graham Bell had crappy grades and didn’t really develop a love of learning until he spent a year with his grandfather. General Patton had trouble learning to read and write. George Bernard Shaw even wrote about his hatred of standardized schooling in A Treatise on Parents and Children. These people would be considered outliers in today’s schools. And not in a good way. Yet imagine the world without their contributions. What I’m trying to get at here is that our children deserve more than to be treated as statistics. Although numbers are easy to quantify, they don’t show the full potential of a child. Standardized curricula and standardized testing are not doing any favors to our children. Too much emphasis is placed on standardization, grades, and scores. The problem lies with the one-size-fits-all approach. Children are unique, ever-changing, not quantifiable. If we don’t come up with a better way, then we just might be robbing the world of its next Thomas Edison. It’s time we start accepting and even celebrating the outliers. Book knowledge, rote memorization, and good grades do not always equal success in life or encourage development of great character. Weakness in those areas can not be equated with failure in life. So why do we base the school system and the success of our children on inaccurate measurements? We’re not raising numbers, we’re raising children. Wonderful, unique children (even if they are outliers) who have so much to offer…much more than anything you might see in a graph of standardized test scores. It’s time for the outliers to show us what they’ve got. Time for them to shine. The world will be a better place because of it. 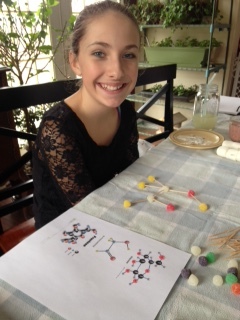 Because chemistry should always include candy! It can be very daunting to get started homeschooling so I thought I would share the documents that I use with the hopes that they will bless someone else. I have also included some of my favorite tips and links too! 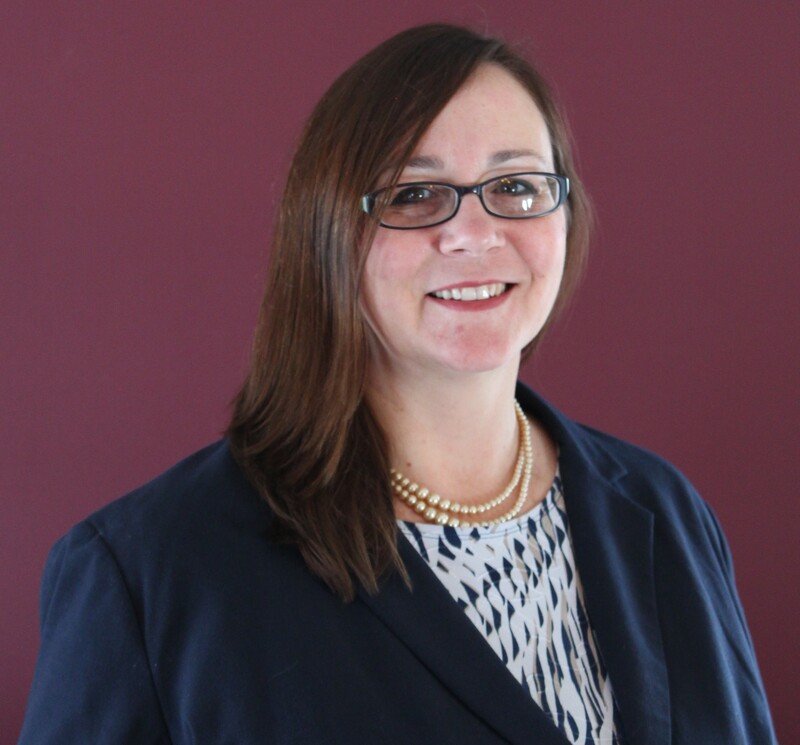 In Pennsylvania, you have to file paperwork the year you pull a child from school or the school year in which they turn 8 (6 in Philadelphia), and then each subsequent year by August 1st: What’s required? A (notarized) affidavit, a list of educational objectives (by subject) and documentation that the child is getting health and medical services required by law. I used take care of this paperwork immediately at the end of the school year and drop it off with my children’s portfolios. Now with the change in the PA law, there’s no need to drop off the portfolios. I’ll still stick to dropping off the new paperwork as soon as the school year is finished and I have the evaluator’s letters. This is mainly because summer notoriously sweeps me off my feet and I am me (i.e. chaotic) so I’m afraid I’ll miss the deadline. All documents go to the superintendent or their designated representative of your local school district. The best affidavit that I have found is on one of my favorite homeschool groups’ website. I used to use PA’s affidavits but they state that evidence of immunization is attached. Since I don’t feel that the school district is a secure location for my child’s medical records and it is not required by law, I no longer do this. The affidavit on CHAP’s website is much less intrusive. I have used the same generic Educational Objectives for years. They were in a book that I read back in the 90’s and they have served me well over the years. (I wish I could remember the book name so I could give credit where credit is due.) I keep them generic so I can tailor the lessons to my child’s needs. I send a Letter of Intent with my affidavit and educational objectives. It’s probably not necessary but, hey, I’ve got issues. I’m not going to get into the very personal debate over vaccination. Suffice it to say that PA law requires that you get our child immunized or file an exemption form. If you file an exemption form, file it with your yearly paperwork. You commit to providing a minimum of 180 days or 900 hours for elementary students or 990 hours for secondary students. I like to make a yearly calendar and divide up the lessons right away. I know of others who do lesson plans weekly or monthly. Because I have either been working or going to school while homeschooling, I have needed to be prepared a little further ahead. It also allows me to tailor our field trips and educational experiences better if I have an idea of topics to be covered. To save time, I reuse a calendar template with certain subjects already plugged in. For example, I don’t write out the kids’ math lessons on our calendar because the program we use (Switched on Schoolhouse) has its own calendar so lessons are pre-assigned. I start with the first week’s calendar and put in the repeating items then copy and paste that calendar. Here’s an example of what our calendar may start out looking like and as I’ve modified it along the way. Throughout the year, we just keep a 2-3” binder for each child and we hole-punch the work and put it right in. You also need to keep track of any books read. For older kids, this should be their responsibility. Doing this throughout the year makes getting the portfolio ready at the end of the year much less overwhelming. Joining a homeschool support group can be fun and helpful but it is not necessary. Some people join or form co-ops to help each other with the teaching, especially in the older grades. For children in grades 3, 5, and 8, standardized testing is required. The approved tests are listed on PA’s website. Our school district includes a list of test administrators in their homeschooling packet. I have heard that some school districts may allow the student to test with their students but I’ve never known one who did. This is direct from the PA state website: “If the supervisor of the home education program requests that the student(s) take the PSSA, the school district must allow the student to take the test at the school building the home education student would normally attend or other accommodations agreed to by the school district and the parent.” Hmmm. Interesting. You take your portfolio to an evaluator who certifies that an appropriate education has been given. Our evaluator also may have the younger kids read to her. A copy of the standardized test results and the evaluator’s letter are then given to the school district at the end of the year. If there’s anything else you’d like to see or questions you’d like answered, please feel free to ask. Remember that the most important thing goal is to instill a love of learning in your children because that will serve them better in life than worksheets and fact memorization. So, relax and have fun! I am an accidental homeschooler. I never knew about homeschooling or even knew someone who was homeschooled before I got started. My son was enrolled in our local (at that time) public school and my daughter was a toddler. Because of extended testing for a health problem, my son was going to miss too many days of school so the school was threatening to hold him back. The problem was that he was already bored and unhappy in his current grade. We survived the medical testing (all great news) and completed the schoolwork (tedious and unimaginative). But, along the way, I realized something wonderful: I loved teaching my son at home and he loved it too! It was so much easier to do work with him when he was fresh as opposed to dragging him, tired and distracted, through homework after a six hour school day. He could work at his own pace and my daughter who was a toddler couldn’t wait to be just like her big brother and do schoolwork too! I never sent him back and I never sent my daughter to school. I don’t want you to get the idea that everything was all rainbows and lollipops. I made mistakes (like trying to teach using the public school method, going workbook crazy, and not teaching to my children’s learning styles), had tough times (homeschooling teenagers and toddlers through a divorce), and there were days when I just wanted a little peace and alone time but, for the most part, it was great! During that time, I was working evenings so I could be home with the kids during the day anyway. Over the years, I was introduced to the wonderful world of curriculum and conferences, field trips and support groups, and oh so much paperwork! (Pennsylvania is the second most restrictive state to homeschool in.) We found our tempo and managed to continue to homeschool through a lot of ups and downs in our lives. I am happy to report that the first two victims of my homeschooling adventure survived with one graduating from college last year and the other set to graduate from college this year. My youngest kids, however, have had a very different school experience due to life circumstances. With their difficult starts in life and different learning challenges, homeschooling them was hard. Just teaching them letters, numbers, and reading was drowning me. I was trying to work tons of hours on 2-3 days of the week to continue to homeschool and it was killing me. I was exhausted on my days off and my kids were not progressing enough according to my standards. Enter public school. The worst thing to come out of our public schooling experience was the focus on all things sexual (mainly while unattended on the bus). The greatest thing…after trying for 5 years to get my son help, the school was able to get him diagnosed and get him appropriate help. Even as a nurse, I had been unable to do this on my own. At one point, I was told that my (at that time undiagnosed autistic) child was behaving the way he was because I gave too many directions to him. One doctor even told me (someone who had never medicated a child ever) that I couldn’t medicate behavior out of a child. All I had asked was if there was perhaps a medical reason he couldn’t control his behavior because I thought it was unkind to punish for behaviors out of his control. (There was a medical reason, but that’s another story.) Until a teacher saw it, the mental health professionals didn’t believe it had happened. One of my biggest complaints when they were all attending school was that we didn’t have enough time with each other. During the week, they were at school, doing homework, at an activity, or preparing for school. Weekends were filled with church and activities. It was depressing and exhausting and not at all conducive to training up my children in the way they should go. Out of necessity, my youngest son continues to attend public school. But, this year, by the Grace of God, I have been able to homeschool my daughters again. And so, we dance this familiar dance again. But this time, my daughters and I have been trying to find our own homeschooling tempo. It is a fun and sometimes exasperating time of learning together. Since my son’s needs and behaviors often take precedence over their needs at other times, this has also become a time of healing, bonding, and relaxing. While I do not know what the future will hold for us with regard to school, I’m just enjoying this gift of time with my girls and thanking God for the opportunity. I’m not a liar but Facebook sure is.